In 1998, Lindsay graduated from Grant MacEwan College in Edmonton and soon started working at a local television station there. She enjoyed her creative work as a graphics operator at the station. In 2011 she and her family moved to Vermilion to be closer to family. Lindsay enjoyed the quality time with her children during their younger years but once seeing the job posting/description she knew the Program Coordinator position was perfect for her. Lindsay joined the CLASS team in January 2015 and became CEO in September of 2016. 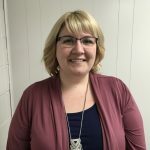 Raised in a small community south of Camrose, Jalene moved to the County of Vermilion River area in 2010 to reside with her husband. After a few years of working in Lloydminster she decided to devote her time to her young family by staying home with their children. In January of 2019 Jalene joined CLASS as the Program Coordinator and is very excited about sharing her passion for helping others and learning. She is looking forward to all the future has to offer with our organization. Yuliya came to Canada in 2010 and has a large history of education and employment. English was a regular part of her education, along with her Ukraine and Russian language. She graduated from the Ukraine Politechnical University with an Engineering Diploma focusing on Finances and Human Resources. 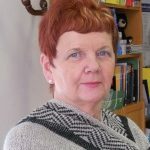 She has a vast number of skills in computer, accounting and finances. Yuliya joined CLASS in 2012 and brought her expertise to our organization. Alva has worked at Lakeland College for 27 years. Her current job is Student Accounts Coordinator. 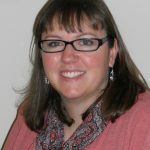 Her education came from Camrose Lutheran College and she completed her Professional Accounting Diploma at Lakeland College in June 2009. Her financial expertise is an essential role at CLASS. She has been on the CLASS Board for 10 years serving in a variety of positions. Alva was raised on a farm near Kitscoty. She has lived in Vermilion for 15 years, and brings her knowledge of rural living to our organization. Alva enjoys traveling and being an Auntie to her multitude of nephews and nieces. Gordon joined CLASS in 2008 as a Volunteer tutor and taught a 78 year old man just learning how to read and write. In 2011, he became a Board Member, and quickly showed his expertise in Board Governance. Gordon’s wit keeps the Board and Staff smiling while showing his wisdom and fatherly guidance over this organization. 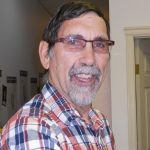 Gordon continues to tutor English Language Students through Norquest LINC (Language Instruction to Newcomers to Canada) program and is active in the Royal Canadian Legion. Gordon and his wife Cicely have one daughter and two grandchildren. Gary Walsh has been a Conservation Officer/Park Ranger with Alberta Provincial Parks for 40 years. He has received his diploma in Recreational Lands Management from Lethbridge Community College in 1975. He started working as a Park Ranger in Cypress Hills Provincial Park that spring, and got married to Judy that fall. They have 3 children and 5 grandchildren. His family is his number one passion. He grew up on a farm near Lloydminster and has lived in Vermilion for 25 years. He loves the outdoors as well as travelling all over the world. He has 3 years of board experience from the Vermilion Library and comes with many qualities to contribute to the CLASS Board. 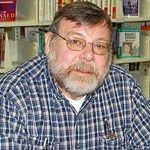 Gary has been a CLASS society member for many years, and wants to assist others in learning and continuing to obtain their education. He also wants Newcomers to Canada to feel welcome, wanted and SAFE. 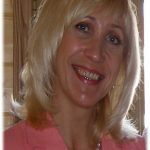 Judy Misick is a semi-retired fitness leader and programmer. She still has 4 fitness classes that she instructs through Lakeland College, Be Fit for Life. She grew up between Edmonton and Grande Prairie, and moved to Vermilion in the 1960s. Here, with her husband, she raised her two daughters. She was a very active member of Figure Skating where she was involved as vice-president, coach and judge. She has won many awards for her leadership and participation in fitness and healthy living, such as the Alberta Centennial Salute for Sports and Recreation in 2005 and the Rotary Integrity Award in 2006. She joined CLASS in 1986 teaching fitness to many communities in the Vermilion River County, and now wishes to give back to CLASS. She has had board experience on the Vestry as the People’s Warden for 3 terms, and brings to CLASS many qualities along with her energy and enthusiasm for lifelong learning and literacy. Justin joined the CLASS board in October, 2017 after attending our AGM. Born and raised in Vermilion, it was the perfect fit for Justin to purchase his first home right here in Vermilion just five years ago. While working for Husky Oil, Justin attended Lakeland College’s Gas Process Operator and Fourth Class Power Engineering Programs. After leaving Husky he continued building his career in the oil industry by joining a small pipeline company. He felt it was time to expand his career beyond the borders of oil and gas and made the decision to join an Edmonton-based technology company named TappCar as Partner Relations Manager. Justin recently completed the Rural Enterprise Assistance and Coaching Hostel training in small business and entrepreneurship to further educate himself.Justin enjoys being involved with the Vermilion community by volunteering with a variety of organizations such as the Rotary Club, Friends of the Vermilion Public Library, coaching Vermilion’s U12 boys soccer and holding the position of Second-Vice President of the Vermilion Lions club.When his nose isn’t in a newspaper reading the latest political news or he is not busy down at the soccer field coaching you can find Justin checking books off his reading list, hanging out with his dog, and hosting weekly movie night with friends. Rev Elizabeth Metcalfe is the newest member of the CLASS Board. She is currently serving as half-time rector of St Saviours Anglican Church and divides her time between Edmonton and Vermilion (although some have observed that she appears to be moving to Vermilion in increments). 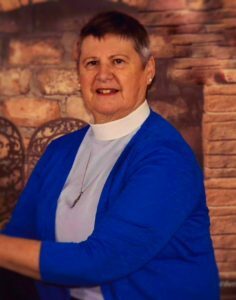 She attended Newman Theological College in Edmonton and was ordained in 2004 after many years of Lay ministry. Elizabeth has served on numerous boards in the past including a term as president of the Greater Edmonton Alliance, a broad based civic organization working for the common good. She has strong rural roots having been a rancher in the Coronation area and varied experience in education,medicine and social services. She is delighted to be a part of CLASS and to help in the important work we do in offering lifelong learning opportunities. Photo credit for the two graphics on this page: Clint Hickson.